We are excited to announce that we are now accepting orders for the 2nd printing of our book! 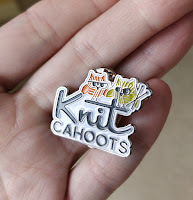 HUZZAH and thanks to all the wonderful knitters that have bought, loved, shared, and knit the patterns in the book so far, and for those who are joining in the fun! $23 Each soft cover book includes a free coupon code to add the eBook to your Ravelry library. 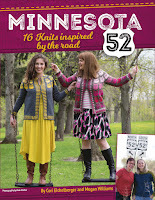 Minnesota 52 soft cover book price includes taxes, fees, with shipping and handling added at checkout. We are also pleased to announce our eBook is now available for individual sale on Ravelry for $19.55 USD.